The oleander is one of my favorite types of flowers. There are various colors but as far as I can tell the most common are pink an crimson. This one looks light yellow to almost white. The plant grows into a sizable bush and seems to always have a number of flowers on display. Oleander flowers can be seen all over Florida and in other warm states like Georgia. The plant often produces seed pods that will split and scatter with the wind. 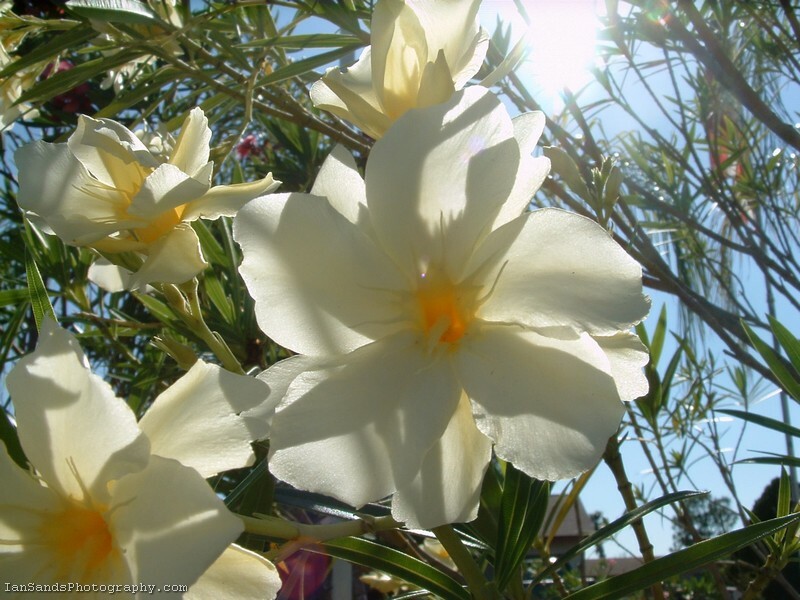 If you enjoy colorful flowers the oleander would make a great plant in your garden. Thank you for viewing my photography, please feel free to send me any questions or comments.